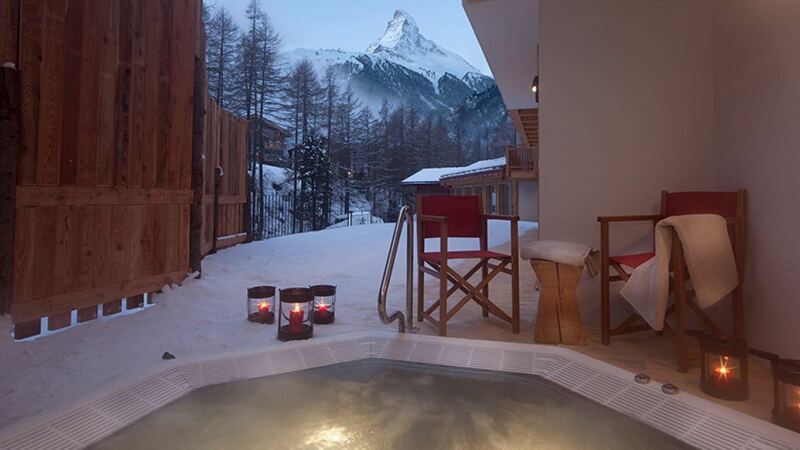 Chalet Barbara is a lovely, free-standing, catered chalet with stunning Matterhorn views and a heated outdoor hot-tub and sauna. 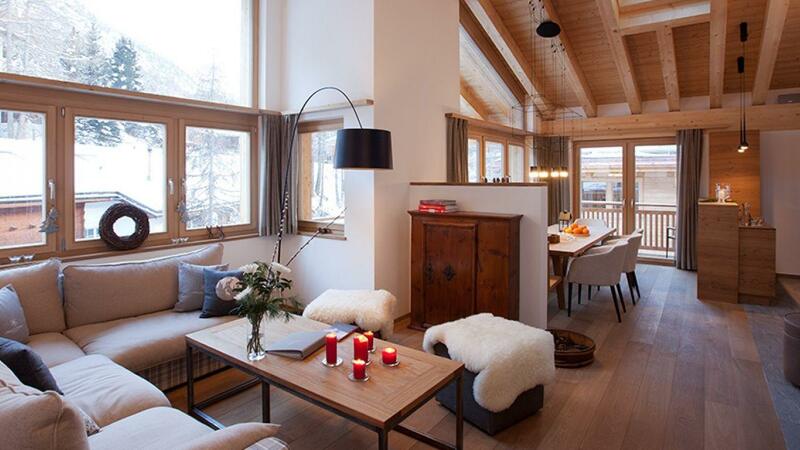 You can ski back to the door under normal snow conditions and the modern design is complimented by a lovely ambiance and layout. 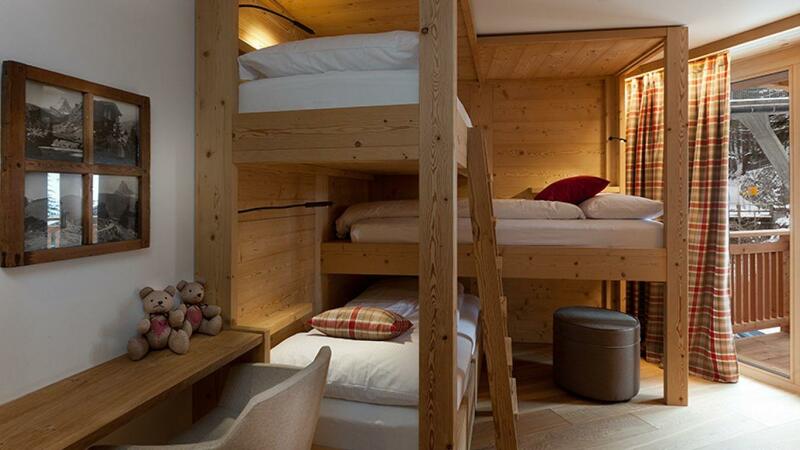 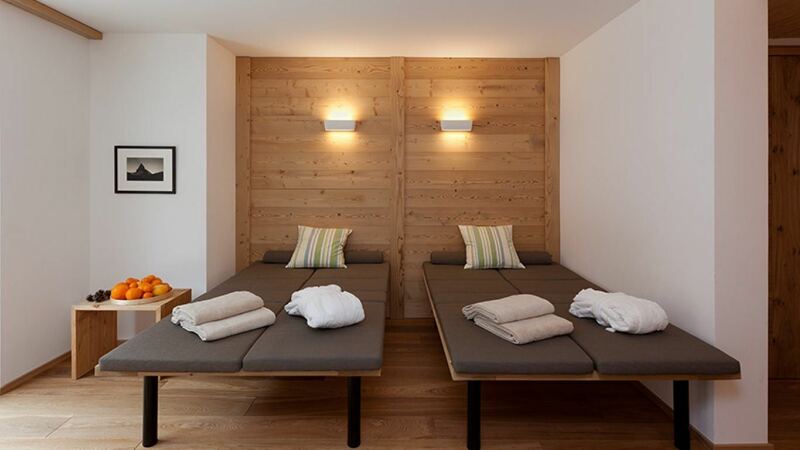 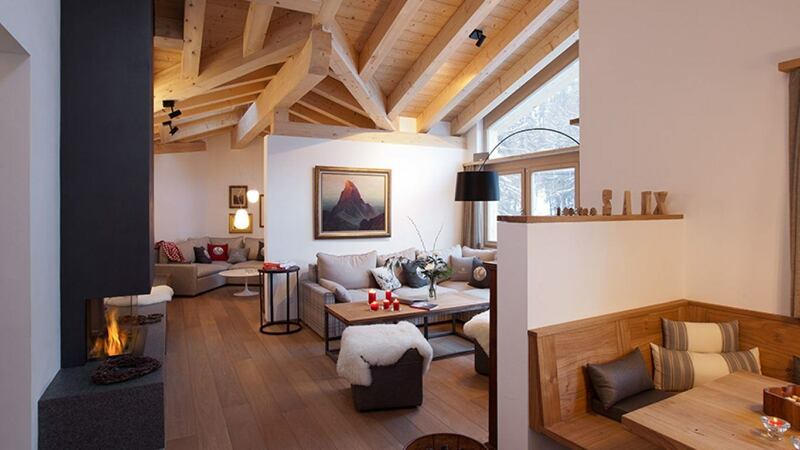 The chalet is accessed from street level on the third floor where there is a ski and boot room. 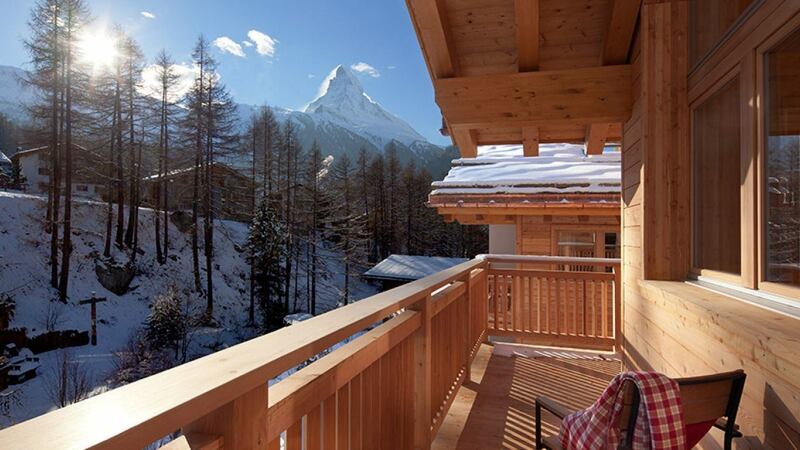 On the second floor is the large sitting room with an fireplace, Matterhorn views, as well as its own balcony. 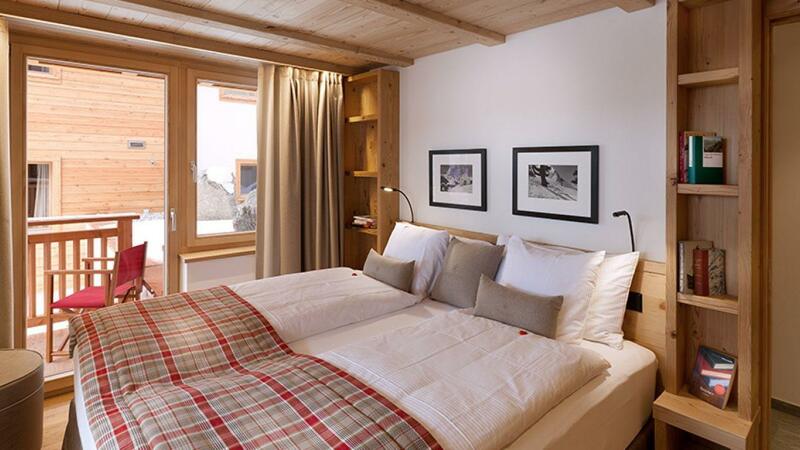 The adjacent open plan kitchen and dining area is fully equipped and has a big table where 8/9 people can enjoy supper together, as well as a balcony which looks at the Matterhorn. 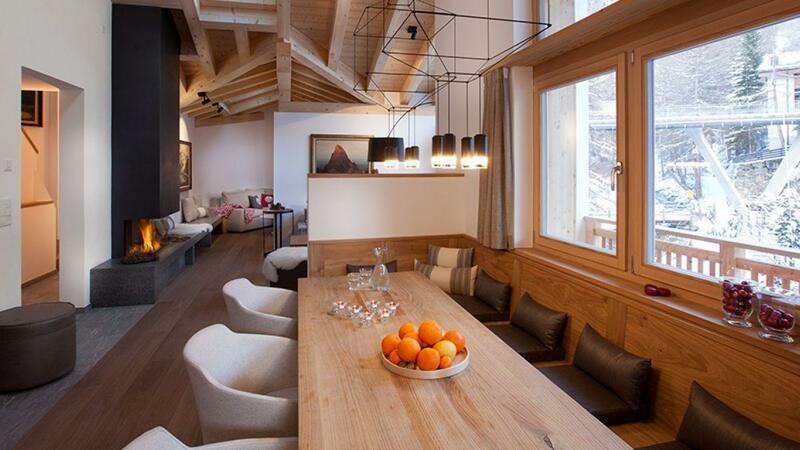 There is a second lounge with TV, DVD and music system. 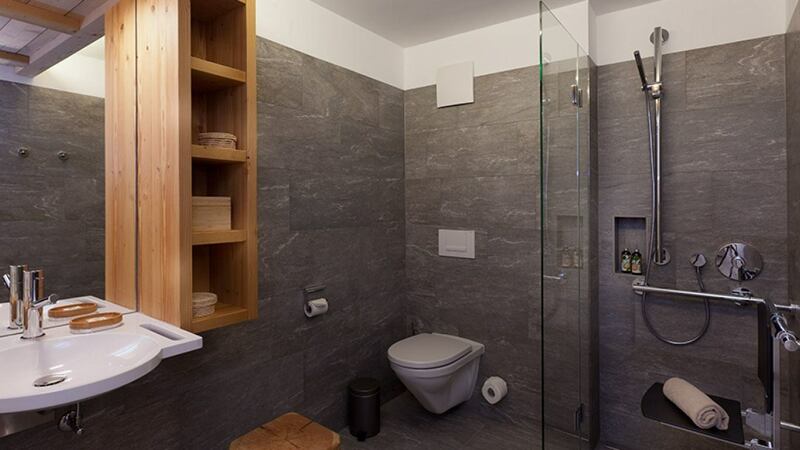 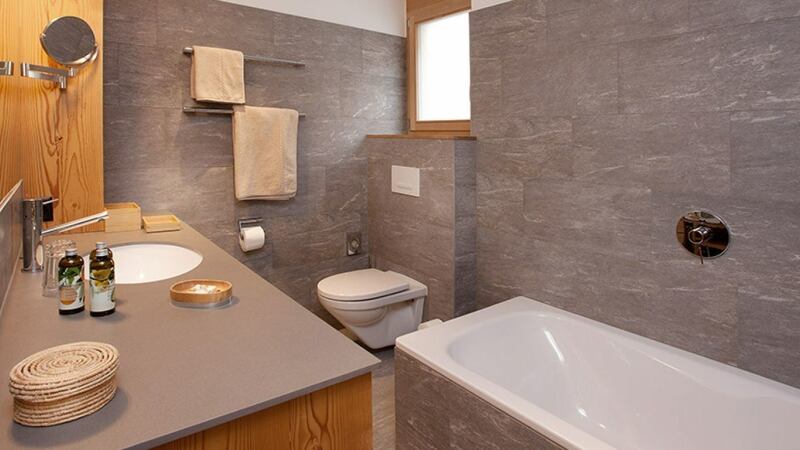 The chalet comprises 4 bedrooms, each with their own bath and/or shower. 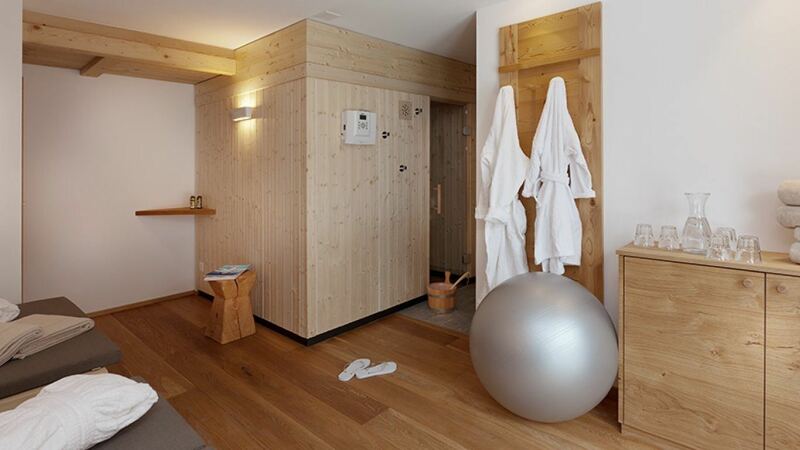 The ground floor has an extensive “wellness” area with a outdoor hot-tub with Matterhorn views, a sauna, shower and equipped exercise area.